Do you want to know how to backup data from Android phone to Google Drive? 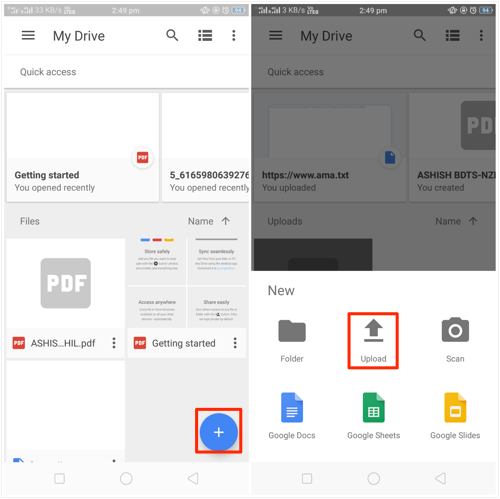 In this article, we share two easy ways to help you upload files to Google Drive, manually or automatically. 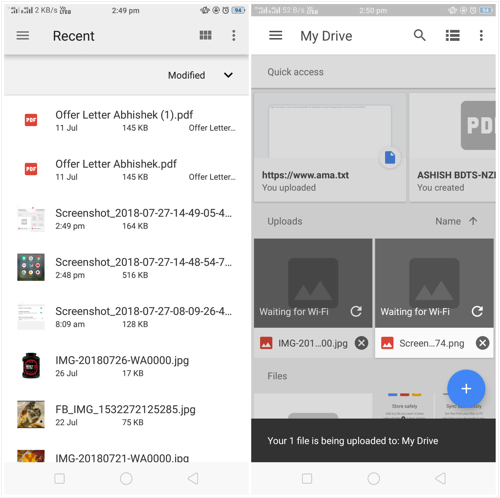 Google Drive is one of the best cloud-based services that helps you store files and documents on an external server so that they won’t take up much storage space on your Android phone. Photos, videos, documents, spreadsheets, presentations, and more are file types supported. There are growing numbers of people using Google Drive to back up Andriod data in case of accidental data loss. If you don’t know how to upload files on Android to Google Drive as an extra backup, the guide can do you a favor. Now read to get 2 ways to backup data from Android phone to Google Drive. 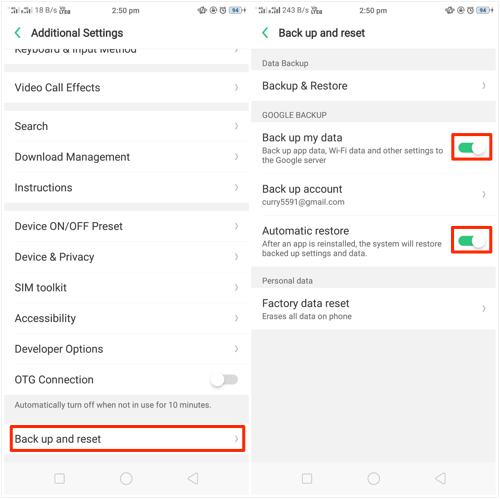 To backup any data on Google Drive from your Android phone, you have to make sure that your phone is connected to WiFi network; otherwise, the upload will be interrupted. The manual method is the one you have to perform on your own without changing any settings of the phone. 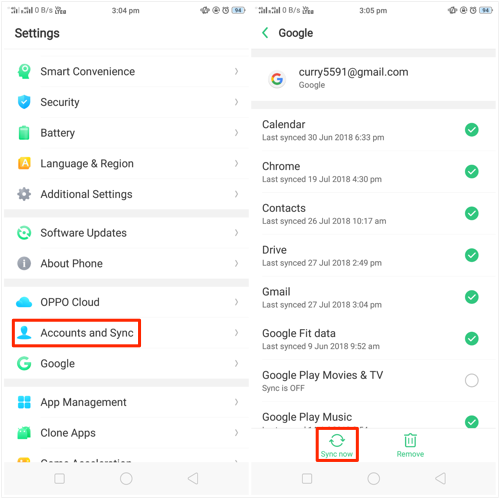 Follow the step by step guide and create a backup of your Android phone data to Google Drive. Step 1 Open Google Drive app in your Android phone and log in to your account using your email ID and password. Step 2 After logging in, you will see a “+” icon at the bottom right of the screen. Click on the icon. Step 3 Then you’ll see multiple options. Choose the “Upload” option. Step 4 Clicking on the Upload option will open the file manager from where you can find the files or the folder you want to back up. Step 5 Click on the file, and it will be uploaded to Google Drive. You can see the notification of the upload at the bottom of the screen. In a few seconds, you will have a backup of the data on Google Drive. The Automatic method requires you to change the phone’s settings and allow Google Drive to access the phone constantly. 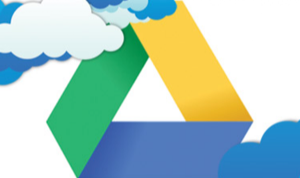 The brief guide is given below to automatically backup your data to Google Drive. Step 1 Open the settings of your Android phone and go to the “Additional Settings”. Step 2 There you will find an option in the last which says “Backup and Reset”. Step 3 When you click on that option, a new screen which has multiple options will show up. Toggle the bar on the option “Backup on my data” and “Automatic Restore”. Step 4 Now again in the settings menu, open the “Accounts and Sync” settings. Step 5 If you have multiple accounts, then select the account on which you want to back up your data. When you will click on the account, a list of data that can be backed up on Google Drive will show up. Select the data and click on the “Sync now” option. In the article, We have shared the possible ways to help you backup data from Android phone to Google Drive. Now, You can create a backup of your data from any Android phone to Google drive and you can also access it on any device. For further questions, let us know in the comments below.